Paper Doll Romance: Sneak Peak! Hi, dolls! Here's a little sneak peak of gifts to come! 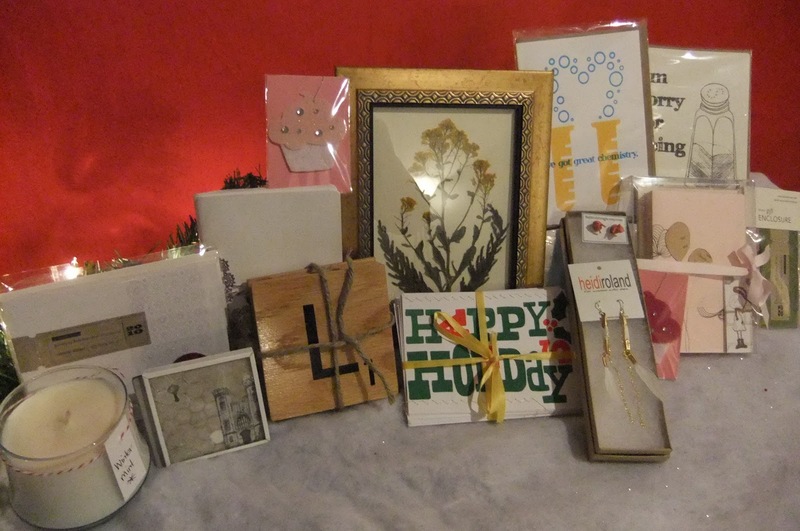 Not shown here is a gift box from Heaven and Earth LLC, a beautiful print from Danielle Rizzolo, a custom button necklace from Land and Laboratory, jewelry from Gypsy Warrior and also Atlantic Coast Art, and a custom piece of your choice from Kasey Tararuj. What a nice selection you have put together! Great work ladies!